In 1990, our paradigm got shaken up when Ron moved from his home in Long Beach [whose address is the only other one besides my current and childhood home addresses, I have memorized from decades of sending him mail and packages] and uprooted to live in Bath, England. Always a record importer, he was working for a new company and this time they would carry videos and books as well for a multimedia experience. By this time, I was making decent money, and had wasted no time in obtaining [at great cost] a 30″ multi-standard TV and a multistandard VHS deck, so now I could buy videos from countries that used PAL or SECAM systems and watch them with impunity in my American home. By 1990, I had four VCRs [Superβeta, Hi-Band βeta Is, S-VHS, multistandard VHS] and with the Sony montitor, I had a reasonably large TV that I could watch foreign videos on as well. With Ron’s new company, he sent me the catalogs and it was like being a kid in a candy store. Want a complete Monty Python library of all of their books? Sure! I’ll take one! Now I could indulge in foreign music videos that I could only dream about for years. John Foxx VHS clip collection from Virgin? No problem! Yello home videos? Sure! 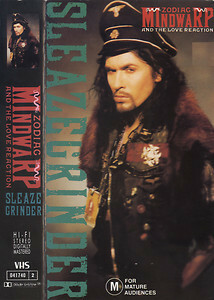 One of the funniest music videos ever was Zodiac Mindwarp’s “Sleazegrinder.” Where the four clips had elaborate and hilarious segues in between them that were funnier than the videos ever got. I kept up with Ron for the year he and his wife were in Bath. During this time, I bought whole swaths of CDs from the catalogs he would helpfully shower me with. A full run of Erasure CD singles since Mute never deleted them? Sure! I kept Ron abreast of goings on in his home country while he helped to fill my early media empire room. We would send letters and cards back and forth. Ron was definitely a “card guy” too. Hundreds of postcards, some of which are on permanent display on our refrigerator even now, would be sent my way over the years. 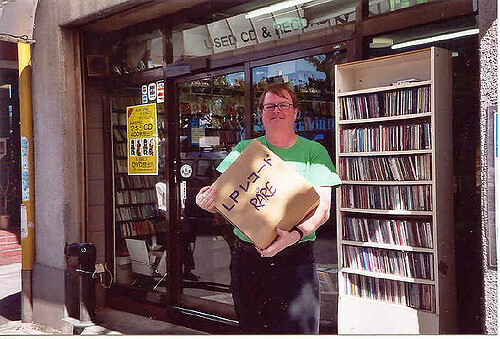 Whenever Ron was going to someplace interesting [read: they had records there] invariably, a postcard would be sent to your home with a few tantalizing lines regarding the food/music available there. By a year or so later, Ron and his wife, Gwynne, came back to The States. Their adventure over. I know for a fact that Ron was by hat time jonesing heavily for some Mexican cuisine simply not available anywhere in the UK at the time. 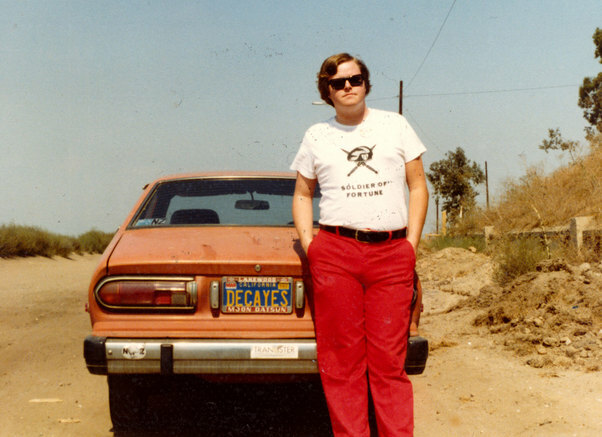 As I had mentioned, Ron was also a βeta guy and around this time, he had a friend, Warren Bowman, who was an editor of television programs/films. During this period, he was editing the program The Wonder Years, and the day’s dailies were dumped onto high grade Sony L-750s, recorded on once, then discarded. Warren dumped the tapes onto Ron after he returned home. One only can imagine how many at a time as each day’s shooting had at least one tape. Ron had so much of this tape cluttering his home, that he would send me cartons of these tapes, filled with every shot made during the course of a Wonder Years episode, for the cost of shipping. If I had wanted to watch 90-180 minutes of every flubbed line on Wonder Years, this would have been a priceless bounty. 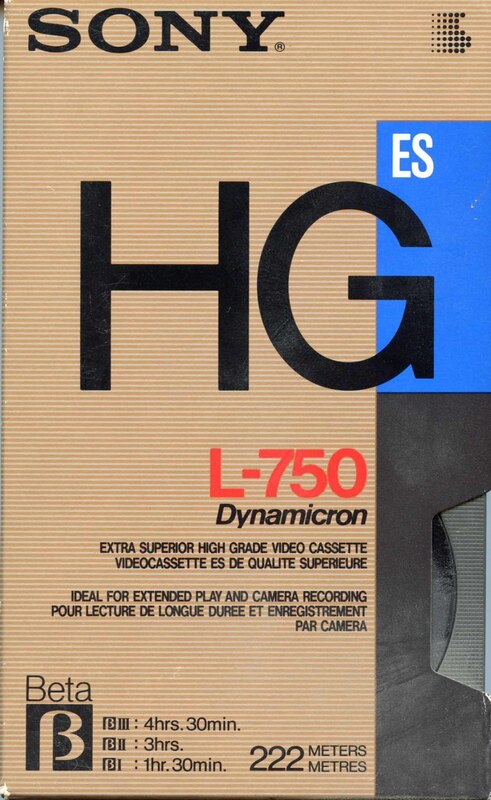 As it was, I would get a carton of 60-80 tapes sent to me that would last at least half a year. This invaluably aided my video recording empire at the time. Once he got back to The States, he went back to some sort of record store job; the basic fallback for Ron’s career as it were. He got a divorce in the early 90s and I can only assume that the move to Bath for a year was very stressful for the both of them. Sadly, I never got to meet his wife, Gwynne. This seemed to shake up the Ron paradigm, and by 1994, he got his first “straight” job, as he put it. He began working in the public school system. Also, around this time, he took his first of many trips to Japan, and of course, when making a big time excursion like that, Ron would ask for your current want list. Over the years, Ron must have sent me dozens of Japanese CDs of many stripes. These would often come, unbidden, in the mail with no warning. And the things he could get for a dollar at one of L.A.’s frequent “swap meets” would stymie my brain. Ron once sent me almost a full run of import remastered Simple Minds 2002 “kami” remastered CDs that were a huge leg up on my first masterings from ’85-’86. 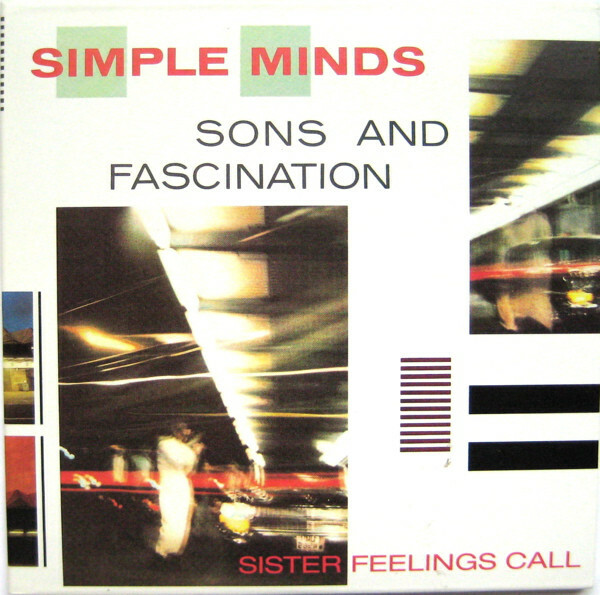 Heck, finally “Sons + Fascination / Sister Feelings Call” was complete for the first time on one disc. This was a huge thing for me. In 1993, I stopped watching television, so the video aspect of our friendship came to a halt… at least until I got the ability to make DVDs in 2005. My concerns were by then focusing on music, my best entertainment value. By the mid-90s I could taste the ability to make my own CDs, so I returned my primary focus to music on vinyl that was not on CD by that time. I would concentrate on rarities with an eye towards making the sort of boxed sets of god that I had in the back of my mind for years. Ron would be there, finding 12″ singles on my want list and shipping them out to me. In this life, it helps to have an “agent in the field” on your side and most record geeks could hardly top Ron in this regard! How many records did I have in my Record Cell that would never be there but for his efforts? Next: …When will I actually meet Ron? This entry was posted in Uncategorized and tagged 2017, obituary, Ron Kane. Bookmark the permalink.